Yle’s coding journalist Teemo Tebest gets by with simple tools. The Sublime Text text editor, favoured by coders, is the most common software open on the screen. When regular journalists need help with data processing, Yle Plus Desk’s coders and graphic designers are there. The eight-person unit has expertise that can be used for creating data journalism, interactive web articles and visual feature articles. “If we make a story, for example, about the United States presidential election, the team usually consists of one content expert from the foreign editors and a graphic designer and a coding journalist from our unit”, explains Teemo Tebest. Right now, Tebest is holding National institute for health and welfare’s data on the share of children born in 2015 that have been vaccinated in the different municipalities of Finland. Tebest thinks about how the article about vaccine coverage by the local editorial office in Oulu could be made even more interesting by means of data. Turning data into stories that interest people is not all that easy. “The risk is that you want to publish everything: build a nice UI and presume that people will excitedly dig into it”, says Tebest one of the most common pitfall in data journalism. Teemo Tebest opens an article about the aging of housing areas in the Helsinki Metropolitan Area, which is based on data opened through HRI. 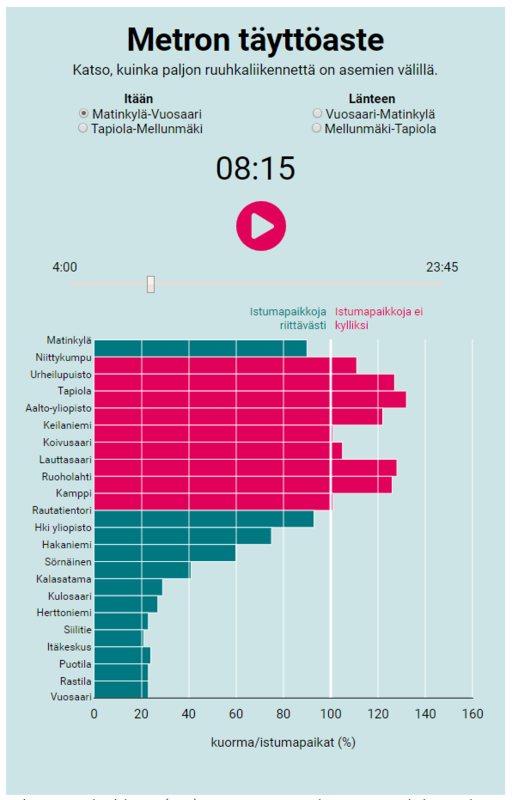 The interactive map of the Helsinki region is aging rapidly article shows how the age distribution in the different neighbourhoods of Helsinki has changed since 1962. In the 1960’s, more than half of the population in new housing areas could be under the age of 19, now these suburbs have gone grey as well. “Here, we did a UI to the open data in HRI”, says Tebest. UI design is basic work for the data journalist. In the Excel file, changes can be observed only by an experienced statistician, a clear visual presentation of the same topic is comprehensible to anyone at one glance. Teemo Tebest grabs a charger from his bag and connects the Mac to it. The battery of the six-year-old workhorse is at the end of its life. “I tend to work quite a bit on the terminal”, notes Tebest. To an old Linux user, the Mac’s command prompt is a cosy environment. As for the text editor, Tebest uses Sublime Text, whose simplified UI has been built with coders in mind. Tebest has been working for six years as a data journalist at Yle. The favourite story of the career is the election compass Kandideitti, which was coded for the 2015 parliamentary election and for which Tebest and his colleagues received the Nordic Data Journalism Award. “The election compass is an old invention, but we wanted to rework the concept a bit, because so many people do not bother with answering the dozens of questions in the election compass.” Kandideitti brought the basic ideas of the world’s most popular dating application Tinder, quickness and appearance orientation, to the choice of the parliamentary candidate. Tebest rapidly clicks opinions on nuclear power, lowering of income tax, gender-neutral marriage, wine in grocery stores and whether Swedish language studies should be made voluntary. The first candidate is shown on the screen, but in addition to the image, there is only the first name and age. “I liked Jaana, but apparently she did not like me, so it was not a match.” The next candidate turns up on the screen. This time, both of them like each other. “We had the same opinion on at least three questions”, tells Tebest. 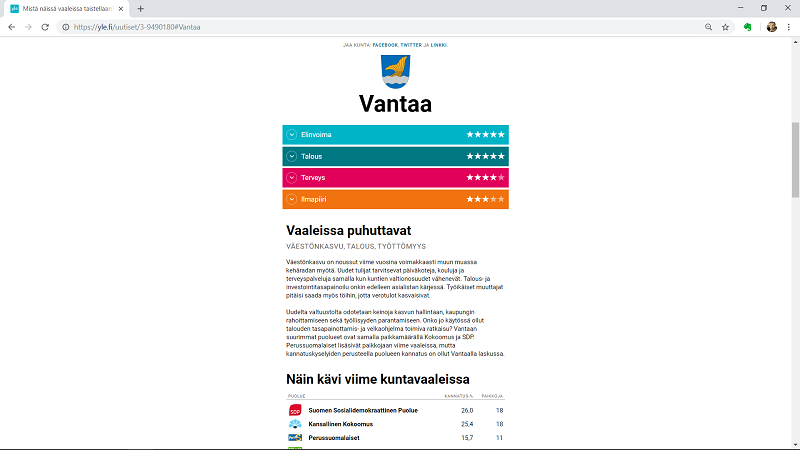 A more detailed presentation of the candidate is shown on the screen and the user of Kandideitti can dig into the candidate’s answers on Yle’s “real” election compass. Day job producing data content to Yle’s web service. Tebest’s datajournalismi.blogspot.com blog is one of the most popular of its kind in Finland. Created the open data-based statster.info web service, which tracks the music that is being listened to..
How did a guy with a Master of Science degree in Technology end up a journalist? Tebest caught an interest in data journalism during his postgraduate studies in visualisation of information at the Tampere University of Technology. “In 2011, Tampere hosted a data journalism event and at a workshop there, we processed the decision data of the City of Tampere. That sparked the interest and Tebest started writing his data journalism blog. 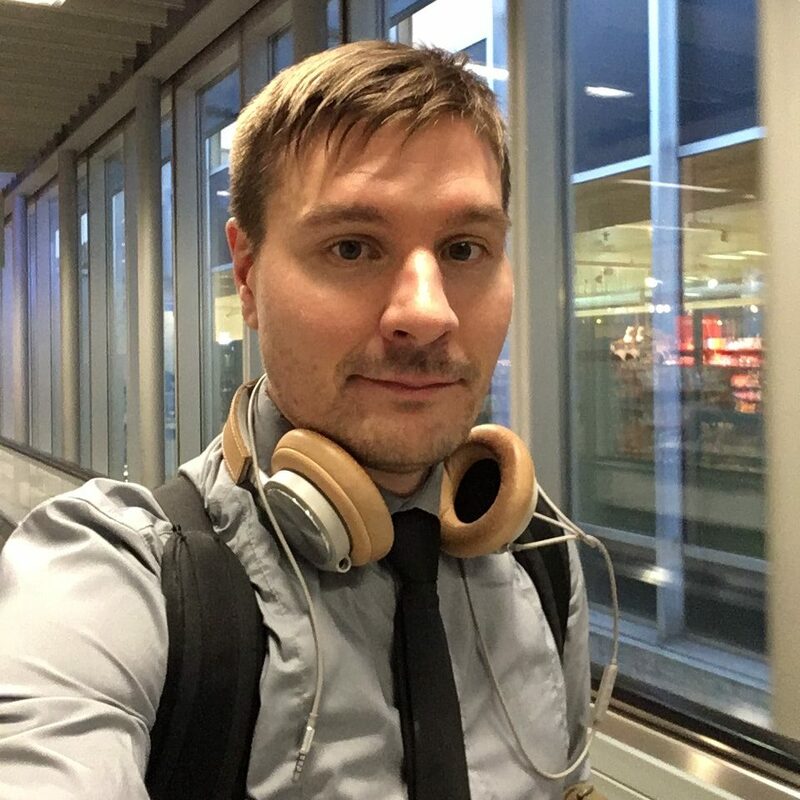 When Swedish Yle was recruiting a publishing system developer in 2012, Tebest decided to try his luck and was hired. “I did a couple of journalistic projects there as well during the year. For example, we studied the True Finns Party’s connections to extremist organisations and the areas with the highest alcohol sales per capita. When the word about a guy with coding skills got out, Tebest started receiving messages from outside his own editorial office. “Then I just made data stuff, pretty much in my own spare time. I was really excited.” In the beginning of 2013, Yle created the Plus Desk and Teemo Tebest ended up making data journalism as his main job. Due to this, Tebest visits the different editorial offices to train people and show them the secrets of data processing. Last week’s training was attended by the editorial office covering the Helsinki Metropolitan Area, the topic was HRI’s data contents. “We took a look at the HRI service, how data is transferred from HRI to Excel, how PC-Axis files are opened”, explains Tebest. According to Tebest, data journalists in Finland are in a good positions because open data is widely available. However, appetite comes with eating. For example, opening Trade Register data, ownership data of properties and price data for sold apartments are on Tebest’s wish list. Many data articles makes use of the data per postal code area published by Statistics Finland. In the Helsinki Metropolitan Area, Tebest would like to see data being published per neighbourhood. “We would be able to tell the readers data stories about the precise neighbourhood they feel they belong to, not some absurd postal code area. Founded in 2013, Yle’s Plus Desk has clearly managed to do the right things. There are over ten awards for praiseworthy data stories to show for it – and the fact that the unit still exists. After all, Yle’s entire organisation has been reorganised at least a couple of times since the beginning of Plus Desk. The news organisation, which produces more than 200 articles per day, is a quite hectic working place. However, at the data editorial office, there is time to focus on the story topics. “Two-week story projects are undertaken in few editorial offices”, says Tebest.